A Dutch-Australian team of satellite trackers has kept tabs on a recently launched U.S. spy satellite as it completed its initial maneuvers in a high orbit around Earth to enter a checkout location for commissioning activities ahead of entering operational service, supplying the NSA and other intelligence agencies with eavesdropping data. 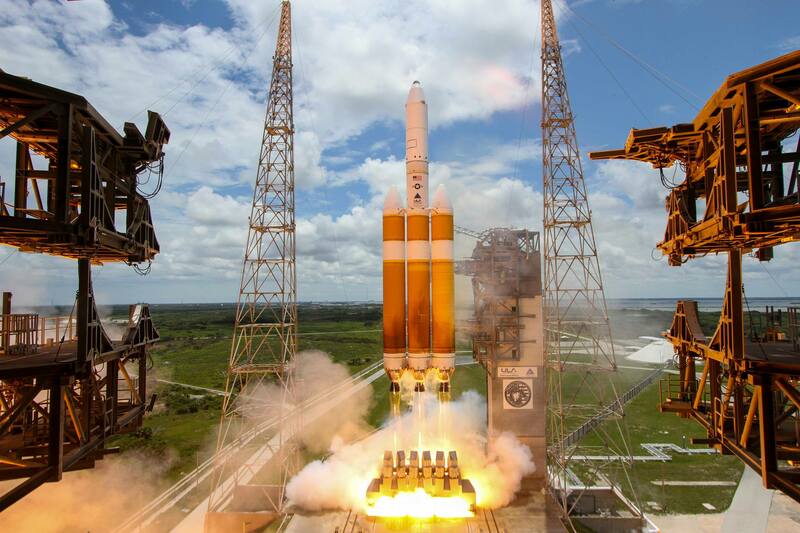 The classified NROL-37 satellite of the U.S. National Reconnaissance Office lifted off aboard a Delta IV Heavy rocket on June 11. 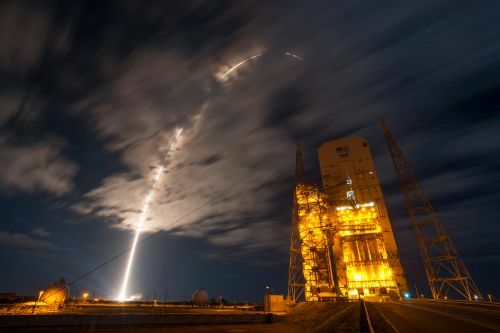 Enlisting the power of the heaviest rocket currently on the U.S. launch market, NROL-37 was set for a ride into a high-energy orbit, taking around five to six hours from liftoff to spacecraft separation. As is standard with clandestine NRO missions, public information on mission progress stops a few minutes into the flight when the protective payload fairing halves drop away from the rocket. However, a worldwide network of satellite trackers came prepared as the identity of the satellite had been narrowed down prior to launch and its destination was estimated and provisional tracking elements were published online. 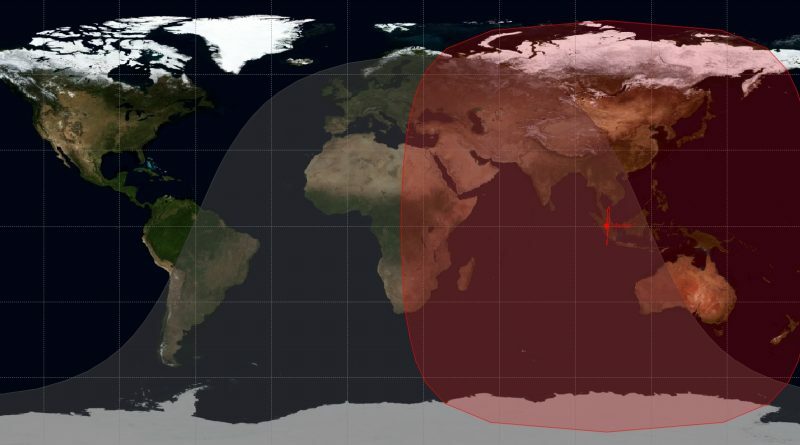 It was expected that NROL-37 – a signals intelligence satellite going by the codename Mentor – would be injected into a Geostationary Drift Orbit over Southeast Asia. Amateur satellite tracker Paul Camilleri based in Australia, was guided by Ted Molczan and Marco Langbroek, two experienced satellite trackers and space analysts. As Langbroek details on his blog, Camilleri located the satellite three days after launch, using a long-exposure image of a target area where the satellite was expected. 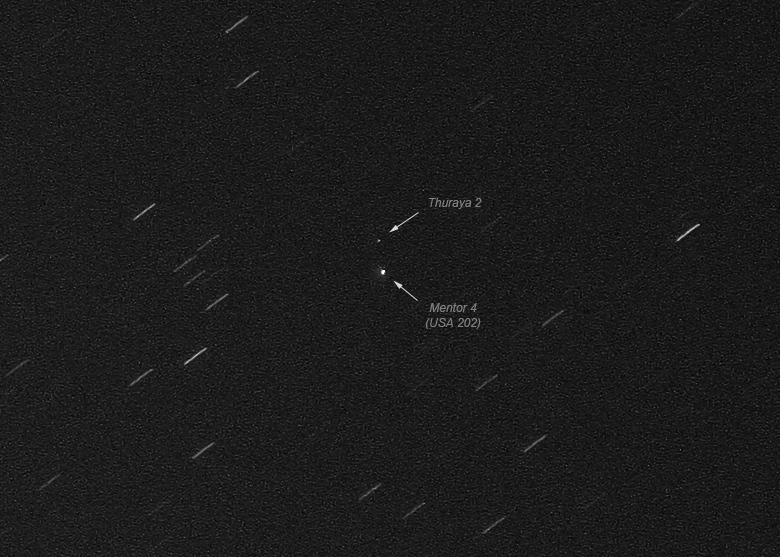 The image showed a single point of light in the midst of star trails, corresponding to the satellite in a Geostationary Orbit where its velocity matches the Earth’s rotation and the satellite appears locked in the sky. 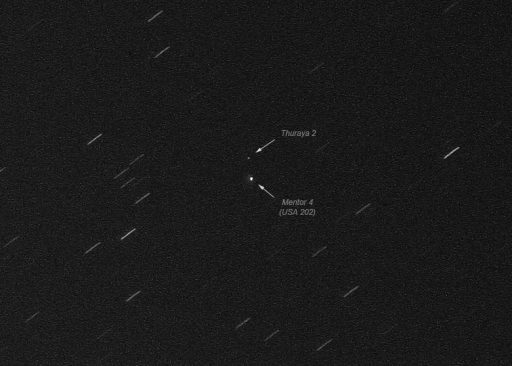 NROL-37 was found in an orbit inclined 7.5 degrees and drifting slowly to the west, en-route to a testing location. On Monday, Langbroek reported the satellite stopped its drift and entered a stationary position at 102.6 degrees East. Previous satellites of its kind entered a similar location for checkouts and commissioning with good visibility by the Pine Gap ground station in Australia. After what is expected to be a multi-month commissioning campaign, NROL-37 will begin drifting again to head to its as of yet unknown operational location. Given interests of the U.S. in the ongoings in the South China Sea and the Middle East, odds are the satellite will end up in a spot covering either of the two locations. NROL-37 is the seventh Advanced Orion satellite – a large signals intelligence bird deploying a huge mesh antenna approaching 100 meters in diameter to intercept missile telemetry from foreign territories as well as other electronic communications. The satellites, also known as Mentor, are part of a program dating back to 1970 when the first ‘Aquacade’ signals intelligence satellite headed into Geostationary Orbit. Back then, the satellites weighed in at only 700 Kilograms and featured antennas no more than 20 meters in diameter. Space Shuttle Discovery lofted a pair of Orion satellites in 1985 and 1989 carrying antennas of 50 meters ahead of the inauguration of the Advanced Orion Satellites. Three Advanced Orion satellites headed into orbit atop Titan IV rockets in 1995, 98 and 2003 followed by three Delta IV Heavy missions in 2009, 10 and 12. The 2012 mission was of particular interest since it debuted the more powerful RS-68A engines that were developed in part due to the requirements for this particular launch – indicating that the Mentor satellites had gained additional weight, likely in their next evolutionary state. 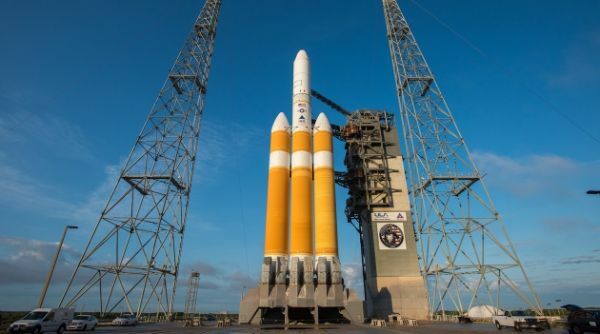 Due to the size of their antennas, the Advanced Orion satellites are the brightest satellites in Geostationary Orbit compared to communications or weather satellites residing in their orbital neighborhood. 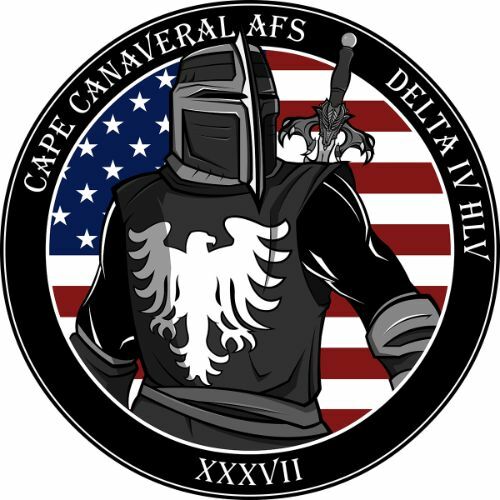 Copyright © 2019 Delta IVH – NROL-37 | Spaceflight101. All rights reserved.